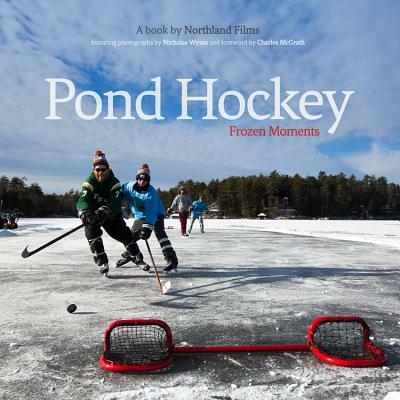 The trek through the snow, the burst from the warming shack, the blast of cold air--the wonder of the outdoor game is stunningly captured in ''Pond Hockey: Frozen Moments.'' From the creators of ''Pond Hockey,'' the best-selling documentary, comes a new oversized photo book chronicling the open-air game from the harbors of Helsinki to the snow-capped Rockies. Featured artist Nicholas Wynia, and a collection of photographers worldwide, capture the winter playgrounds where dedicated shinny enthusiasts spend their winter hours--pine-treed ponds, outdoor rinks, backyard ice sheets, and mountain lakes. In a journey through the raw elements of hockeyland, Wynia's lens discovers the rare breed of outdoor skaters that embody the true heart of the game.